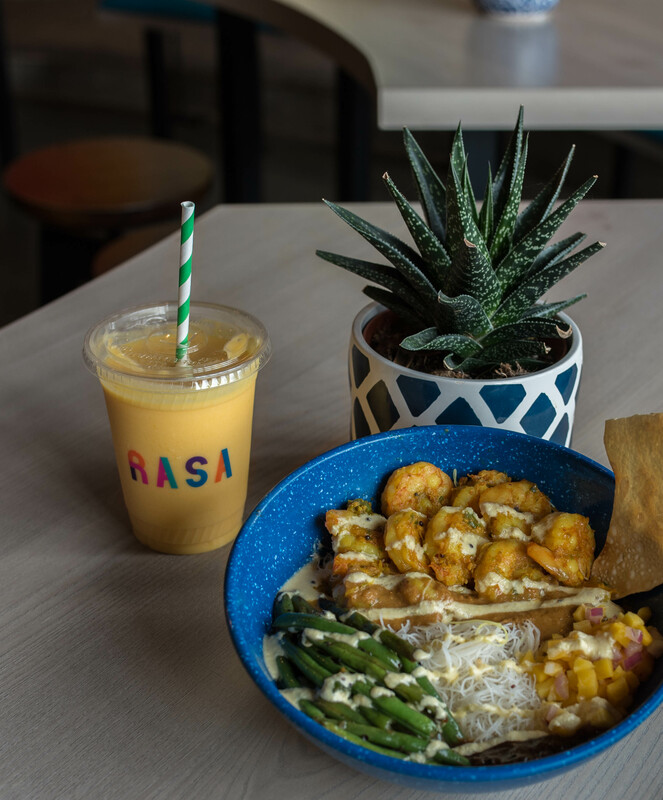 If you’re looking to indulge in something that’s quick, affordable, and unbelievably tasty, RASA is an absolute must-try. Located on 1247 First St. SE in the Navy Yard, they’re open Monday-Sunday from 11AM-9PM. 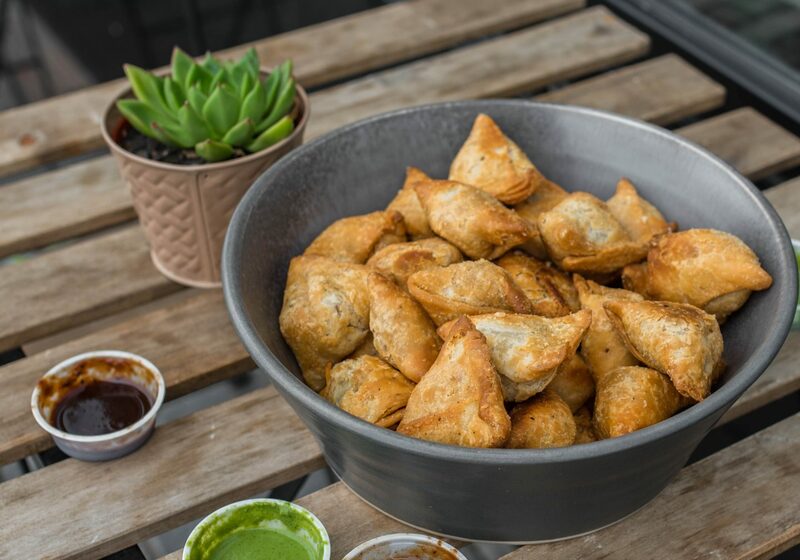 Co-founded by childhood friends, Sahil Rahman and Rahul Vinod, their food is second to none. In fact, they’re SO good that they even made Eater’s very prestigious Young Guns list this year (!!!!) That doesn’t surprise us at all though. Think of RASA as an Indian Cava…except better. Now, we love Cava as much as the next, but RASA reigns supreme, at least for us. So, here’s how it works: you go through a line and pick a base, protein, sauce, veggie and top it with whatever you please. 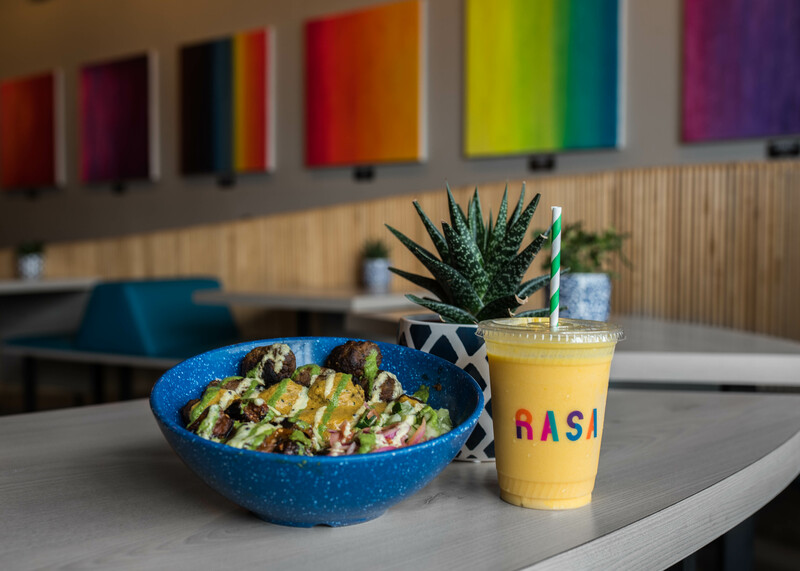 We’ve tried their basmati rice and their lemon turmeric rice and both were sublime – for those of you interested, other options include spinach, romaine lettuce, sexygreens, supergrains, and south indian rice noodles. As mentioned, you get to pick ONE main protein! We’ve tried their lamb kebab and their sweet potato tikki and they were straight up insane. If you like lamb, their kebab is an absolute must-try! It’s super flavorful, and the meat melts in your mouth. They also have chicken tikka, spiced beef, turmeric ginger shrimp, green jackfruit and tofu & cauliflower – yay for delish vegetarian options! Then come the sauce – choose from four different flavors: tamarind chili, tomato garlic, coconut ginger, and peanut sesame. Our favorite was the the tamarind chili, but you honestly can’t go wrong with any. And while we’re at it, let’s talk veggies. Like their sauces, there are four veggie options available: charred eggplant, tossed green beans, sautéed spinach, and roasted brussels sprouts. We love eggplant so we’d get that all day every day, but we’re sure the other options are on point as well. Anddd last but not least, their toppings. Man, you guys are in for a treat because RASA doesn’t mess around. They have SO many delish options available, it’s not even funny. Some of our favorites include: cucumber cubes, masala beets, mango salsa, pickled onions, microgreens, anddd pretty much all of their chutneys, ha. And they have even more available!!!! We won’t list them all though because we don’t want to keep you here all day. Now, you can create your own bowl with whatever you heart desires for only $9.32 (!!!!!!!! ), but they also have a handful of delish pre-made combos ranging from $9.32 to $12.27. 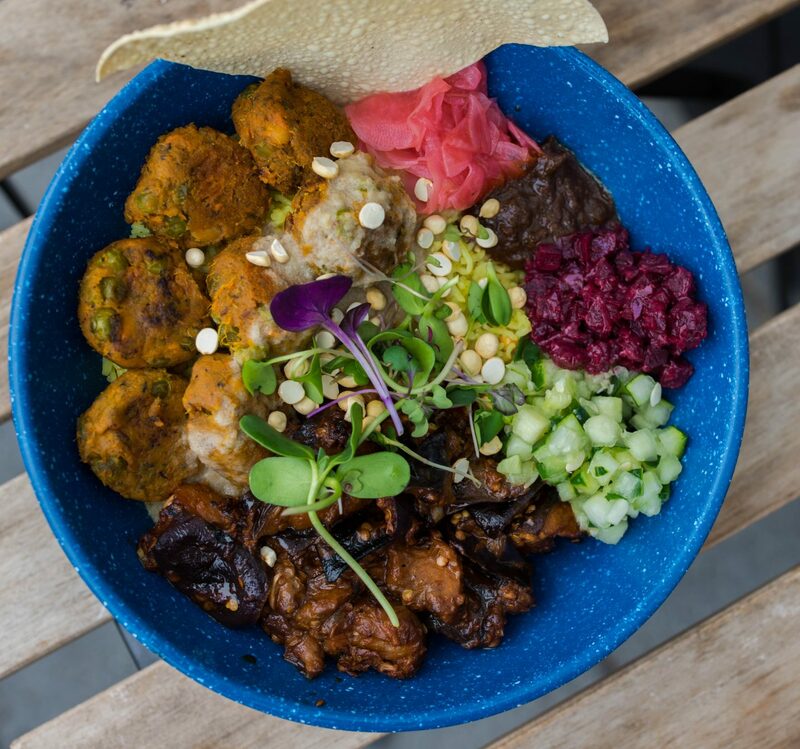 Our favorite bowl was the Open Sesame, but their Aloo Need is Love was a close second. Anywho, we’re excited to go back and try their jackfruit ASAP! We’ve never had it before so that should be interesting, and by “interesting” we mean obscenely delicious. Now, one final thing before we leave you guys. On top of bamf bowls, they also offer cocktails – ermergerd their masala gin + tonic and spiked lassi sound amazing – beer, sides, sweets and nom non-alcoholic dranks. Do yourself a solid and get a side of garlic naan ($2.05), some samosas and 2 mango lassis…one for pre-lunch and one for lunch. Just kidding…kind of…no we’re not kidding, seriously get two. Anddd you’re welcome in advance! Make sure you guys hit RASA up and let us know what you think of their noms by leaving us a comment below. Until next time, friends. Make sure you check back Thursday for fresh new content. In the meantime, browse moreDC foodporn here! Happy eating, Nomsters.